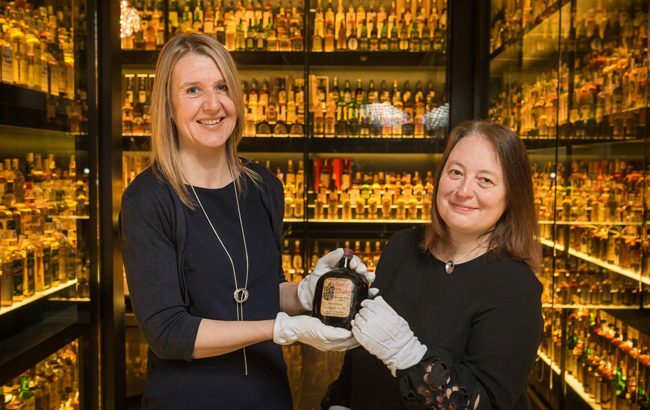 This week, Johnnie Walker owner Diageo signed a new 10-year loan deal that will see its Claive Vidiz Collection of Scotch whisky remain at Edinburgh’s Scotch Whisky Experience. The 3,384-bottle collection, which forms the focal point of the tourist attraction, will remain at the experience for a further 10 years, until 2029. The collection was gathered over 35 years by Brazilian businessman Claive Vidiz. The oldest bottle in the collection is a Buchanan’s whisky dating back to 1897.